UST Off-Road Tool-A-Long Multi-Tool - Five Tools, Stainless Steel Construction, TSA-Compliant, Included Carabiner | BUDK.com - Knives & Swords At The Lowest Prices! The UST Off-Road Tool-A-Long Multi-Tool is a pocket-sized, stainless steel multi-tool that is designed to accomplish a variety of tasks when you’re outdoors or on the go. 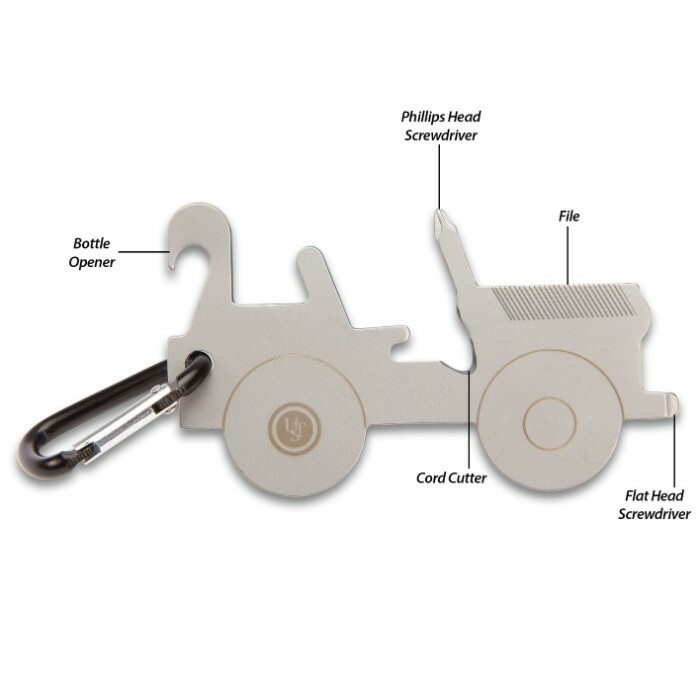 All in the palm of your hand, you get a bottle opener, flathead and Phillips screwdrivers, a cord cutter and a file. 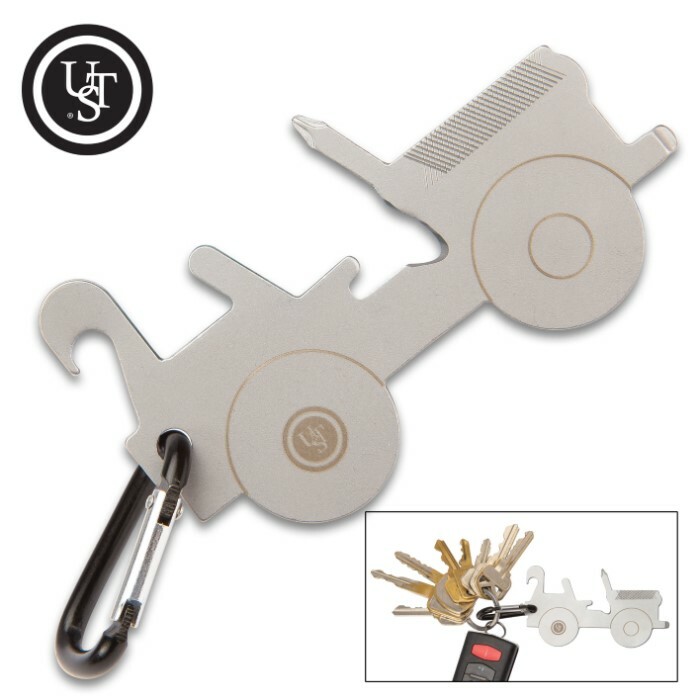 The included carabiner, on the fun, jeep-shaped tool, makes it easily accessible on your gear, belt, bags and more. 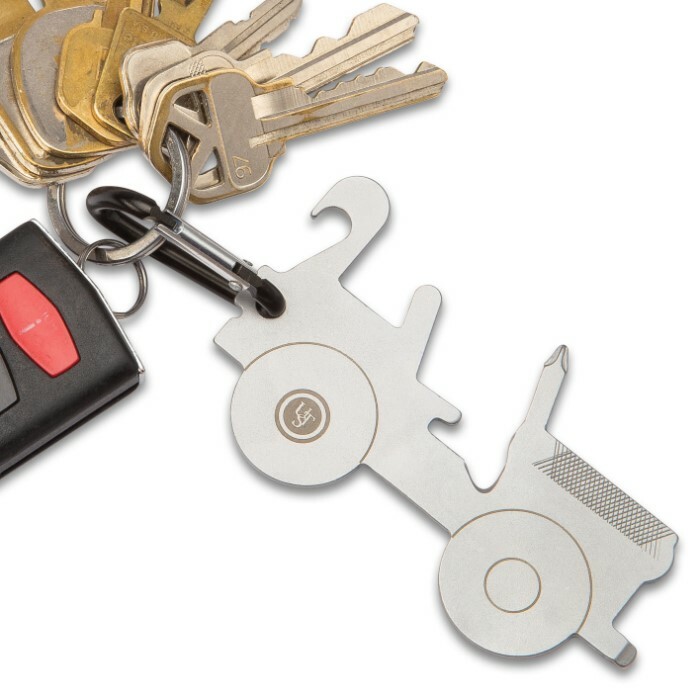 The Off-Road Tool-A-Long Multi-Tool is TSA-compliant for safe travel, so you can take it with you anywhere!